As July whizzes by and turns into August (where is the Summer going? 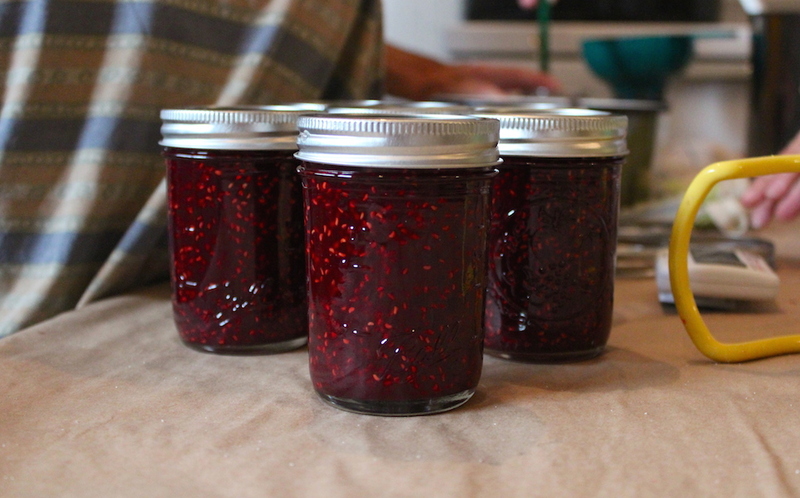 ), one thing starts jumping to the forefront of everyone’s mind here at Wright-Locke: Raspberries! Our late-bearing crop of raspberries start emerging as little red pin-pricks that dot the bushes when seen from afar. At first there are too few to pick for market, so staff and volunteers relish in the handfull or two of this special, seasonal treat. Of course, before we know it, we will be inundated with berries and it is GO GO GO time! But hold on! Let’s go back in time! What’s the history behind these berries? Why do we bend over backwards to cultivate, coax, and coddle this one crop? 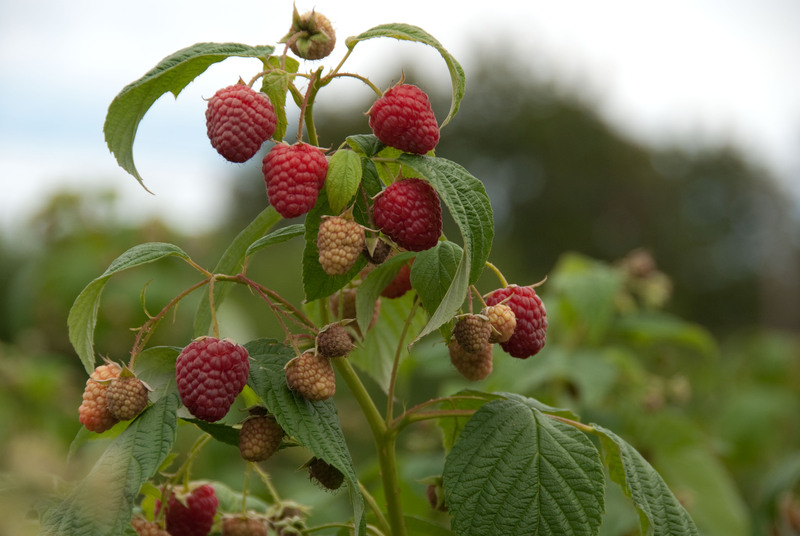 Besides the fact that organic raspberries are hard to find and we think that it’s important to offer this sought-after fruit, raspberries are a long-standing tradition at Wright-Locke and for the surrounding community. In the 1960s/70s, as the Hamiltons took over ownership of the farm property from the Lockes, they started to establish these raspberry plants. While they did not plan to do much market farming themselves, they did hope to keep the land for agricultural uses (for tax purposes or otherwise). 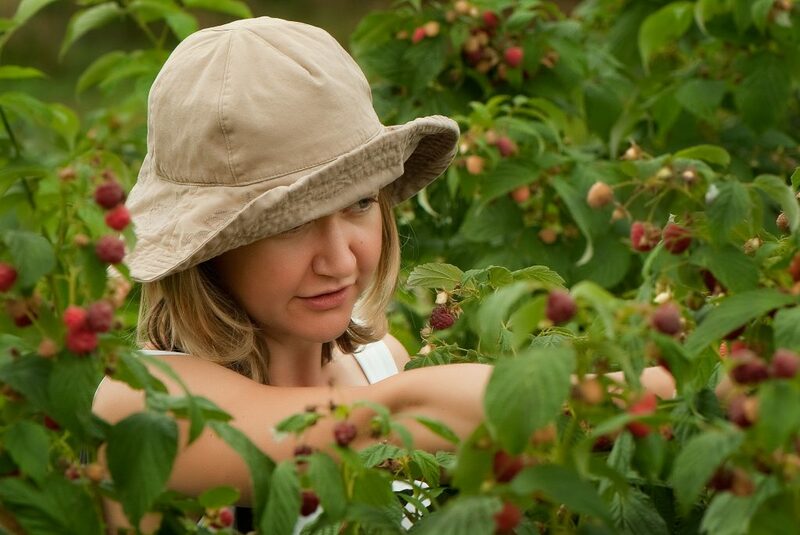 It became a tradition every year for the Hamiltons to open up the farm fields to raspberry pickers. Now, this is always a bit of a touchy topic around here as I have heard many different stories from folks who used to come in those years – recounting tales of shivering in their boots as they got called out for nibbling raspberries in the fields, stories about barking dogs and shotguns… Of course, many of these tales also seem to have a tinge of embellishment, perhaps from the memories of a young child (we all know how that goes). But no matter what experiences everyone seemed to have when visiting the farm, they all came back year after year for the raspberries, and that tradition is a fond memory for many. 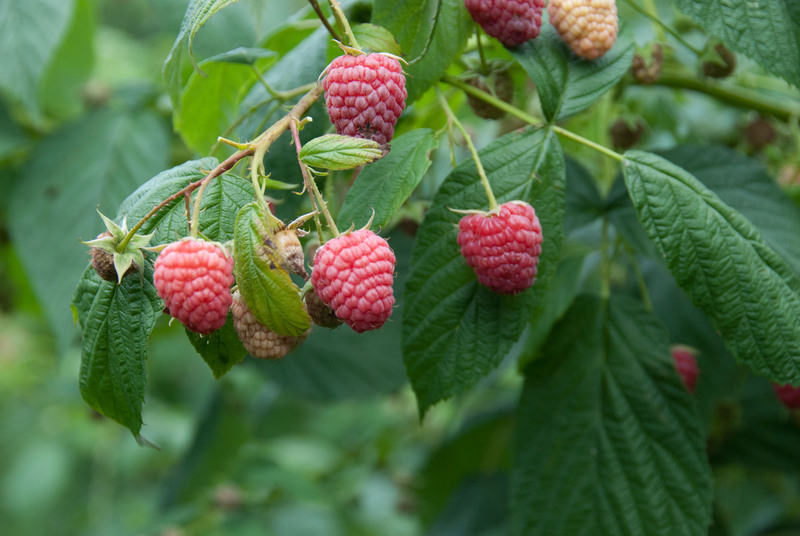 Raspberries were also an important mainstay as the farm transitioned from being privately owned to its current state as a nonprofit community farm. Before the farm had any staff members, a group of dedicated volunteers and board members carried on the picking tradition each fall, bringing in a small sum for the farm to help get its feet underneath it. 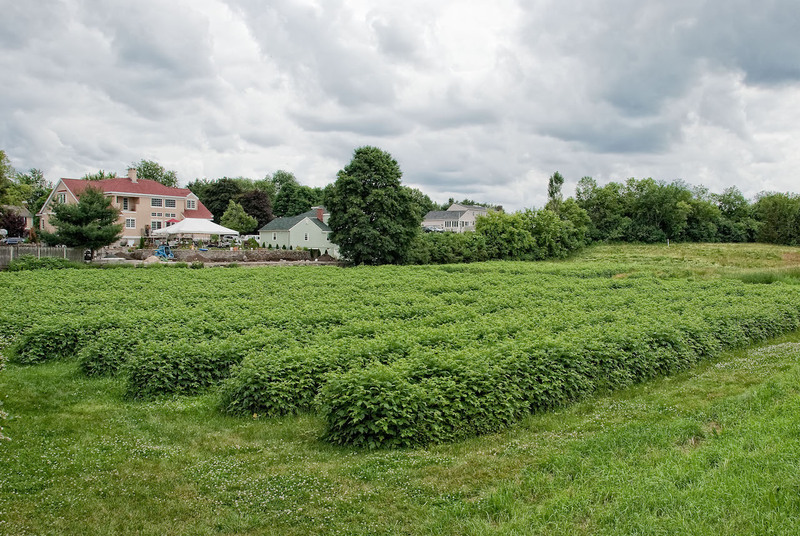 It’s pretty amazing looking at the pictures from this time: almost the entirety of the current vegetable and flower fields were comprised of raspberry bushes and there was still a gigantic hedgerow that blocked any view of the farm from the outside. A single crop (raspberries) wasn’t going to be enough to sustain a multi-season farm, so slowly we started planting more veggies, hired a farmer, and that’s when the farm really started coming alive. Raspberries have continued to be a seasonal highlight, despite the fact that we have thriving farmers’ markets, a Farm Stand, and CSA shares and have expanded our produce and flower offerings greatly. 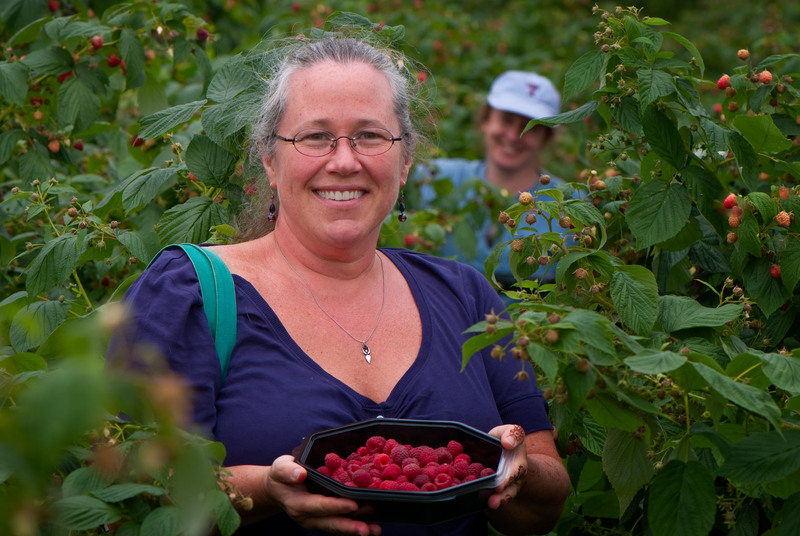 The raspberries are both a nod to our past and a great way to be involved in the present farm — we love sharing the experience of picking your own fruit! However, we’ve found a lot of difficulty in offering raspberry picking recently. With the extreme weather fluctuations these past years, plus a pest that has been gaining numbers and strength in our area, it has been hard to offer the same picking schedule as before. We are finding that our crop needs longer to ripen, and that more of the berries are being affected by pests. Instead of opening up for good for the season and offering picking hours almost every day of the week, we’ve had to scale back our picking to a couple days a week. This is also important since the U-Pick operations are almost completely reliant on volunteer labor. With everyone’s schedules so crazy in August and September — vacations ending, school starting, and work ramping up — it can be really hard to coordinate appropriate picking hours. True to history, farmers have to be flexible and adapt to current challenges. We’re constantly trying to find the right balance of opening our fields, doing our own picking, and managing the pest pressure so that we can all still enjoy these tart and tasty treats. If you are interested in volunteering and helping to make this Raspberry season a success, you can learn more here!